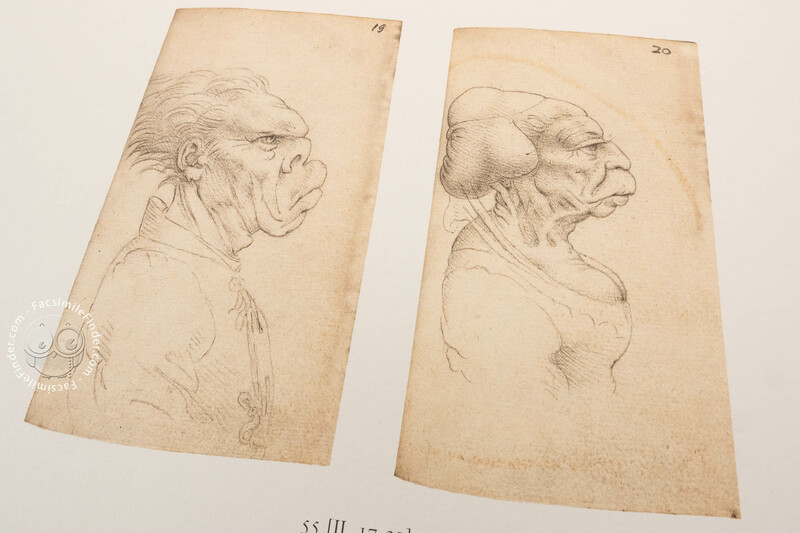 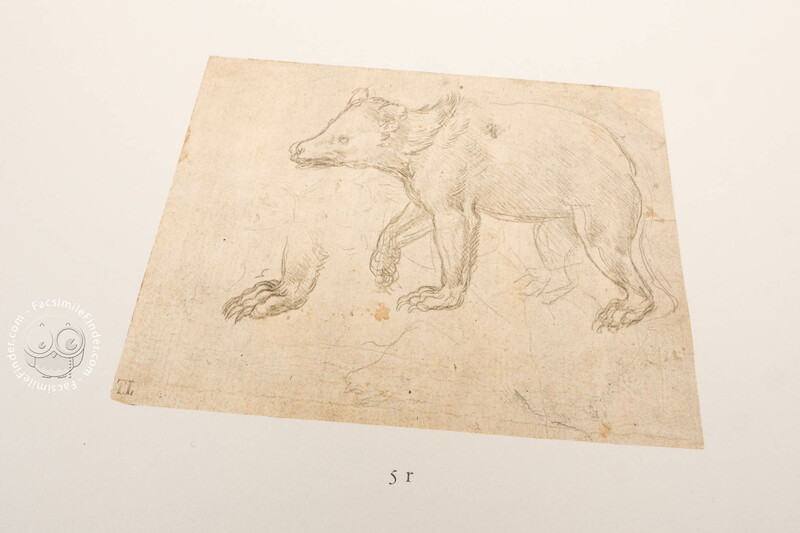 This collection of drawings is particularly important due to the quantity of heretofore unpublished material, including the Spencer Collection of the New York Public Library containing the complete series of 104 caricatures copied in the sixteenth century directly from Leonardo’s original drawings on physiognomic research, for the most part no longer extant. 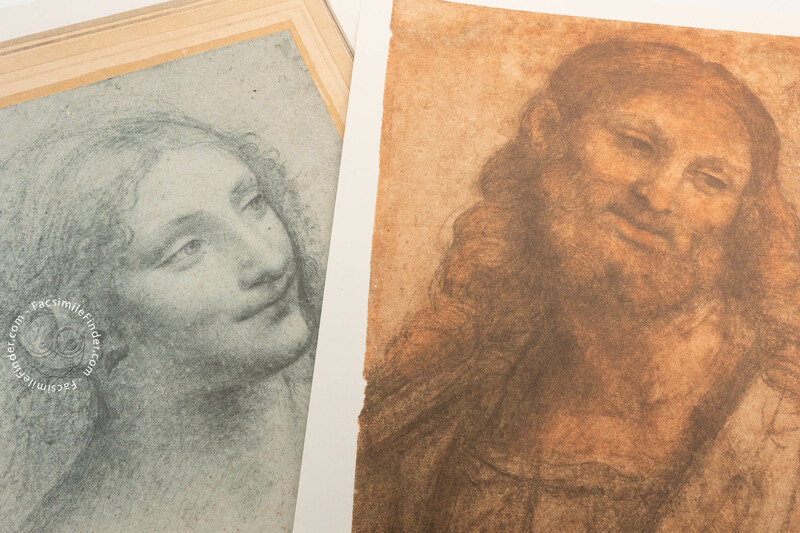 8 figure studies are conserved in the Metropolitan Museum in New York, including the first drawing for the Virgin of the Rocks and the preparatory drawing for the Virgin’s head in the Louvre’s Virgin and Child with St Anne. 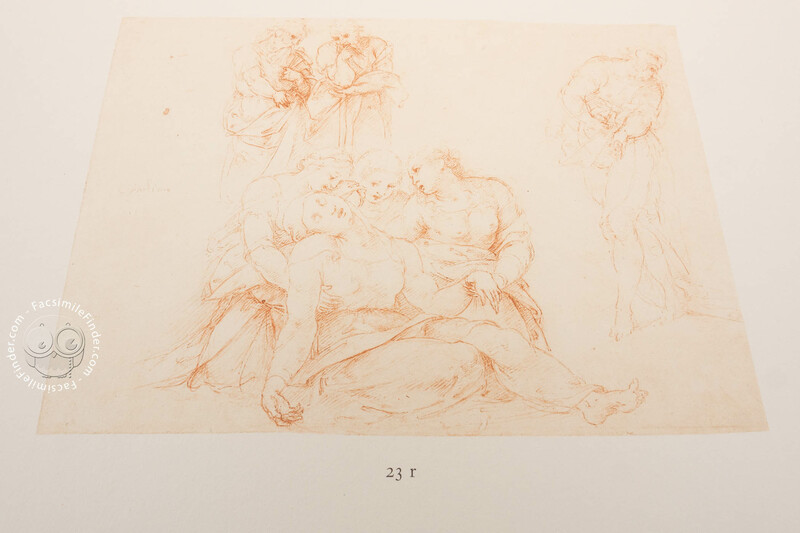 Recently acquired are the two famous drapery studies and the sheet of figure studies now at the Getty Museum in Malibu. 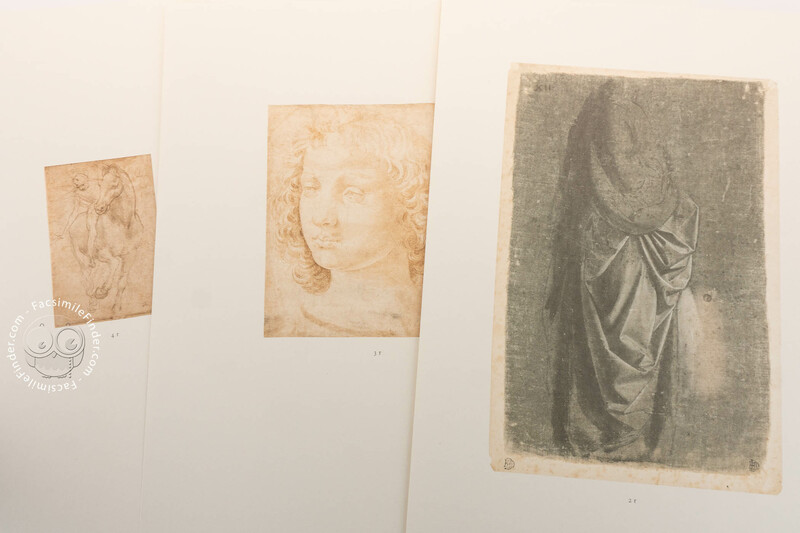 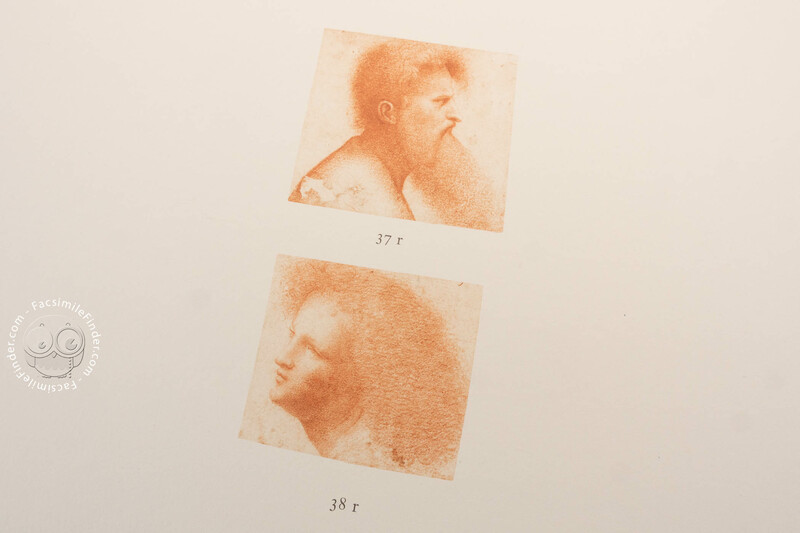 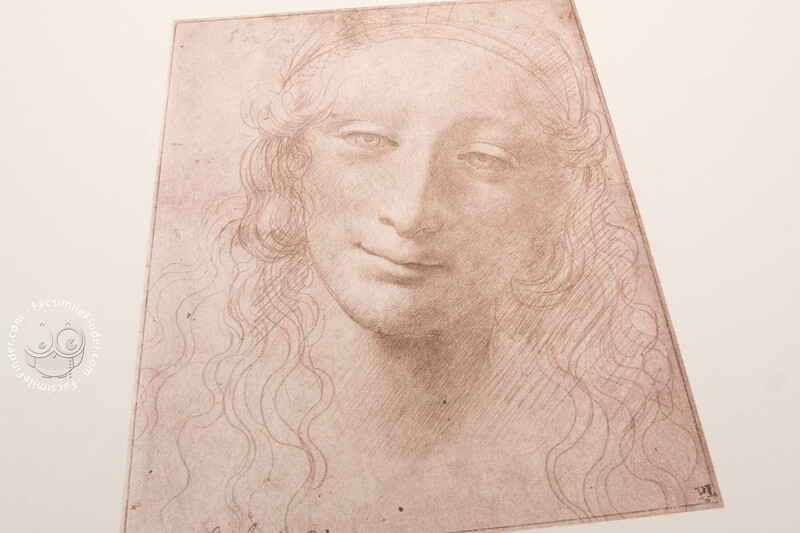 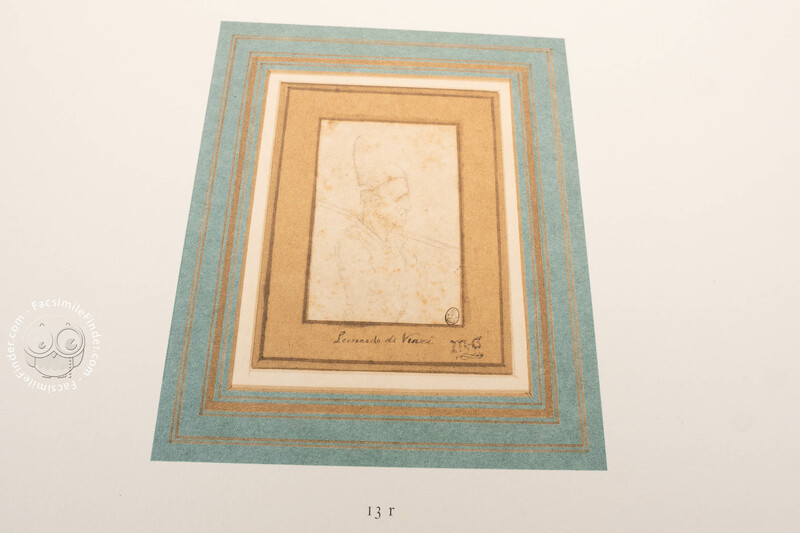 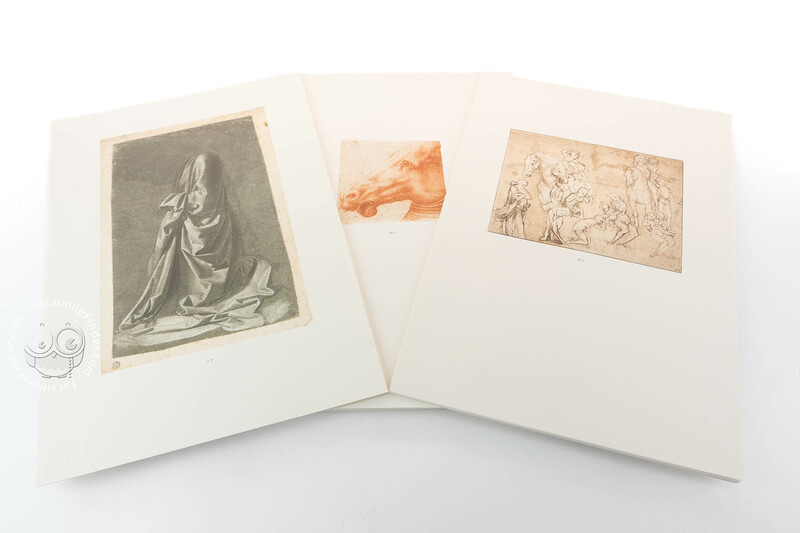 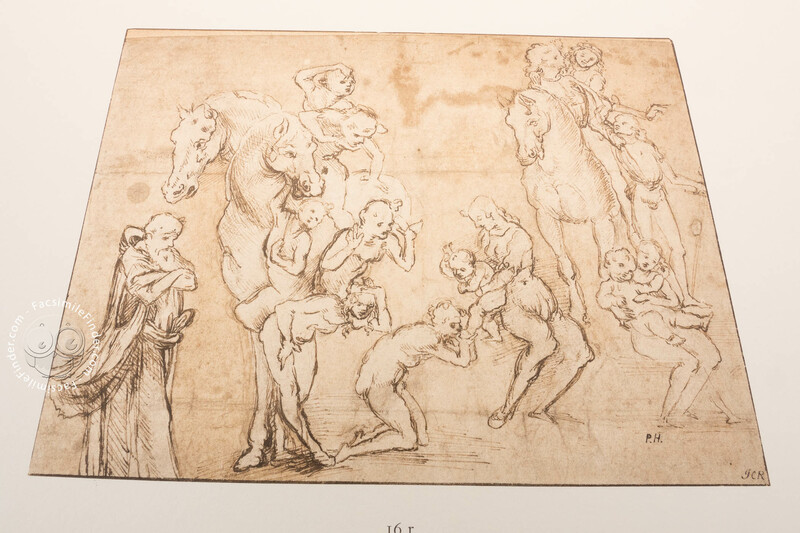 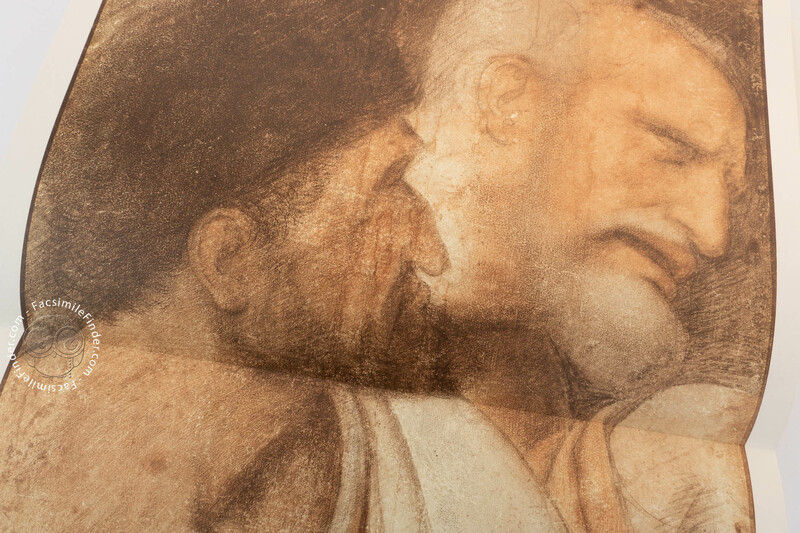 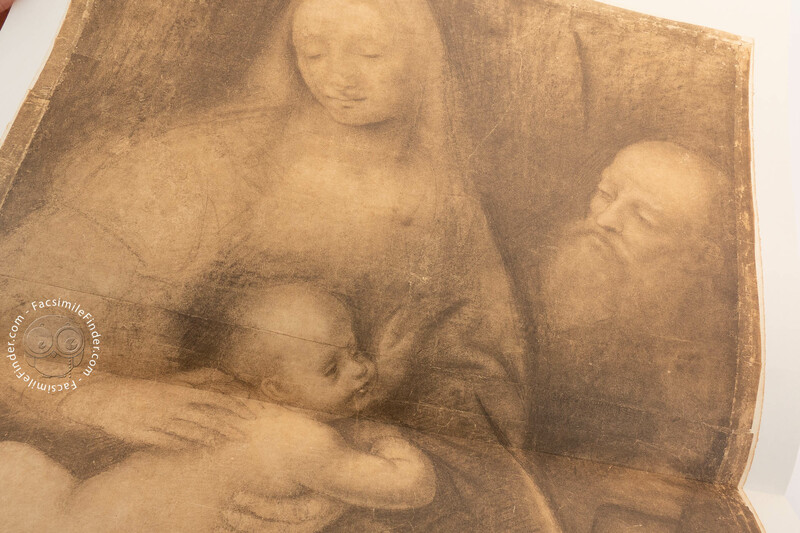 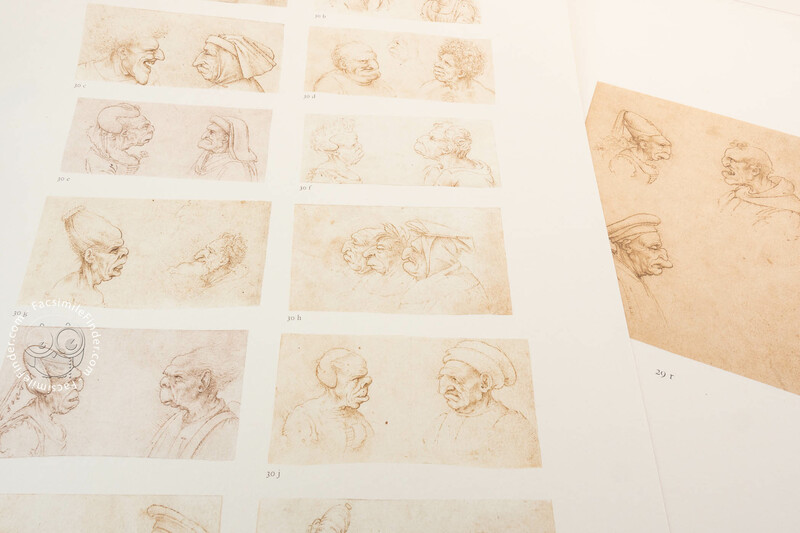 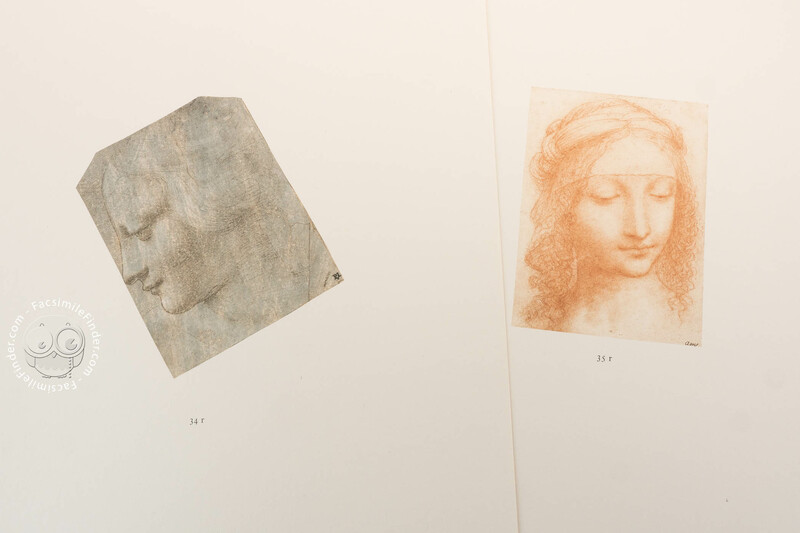 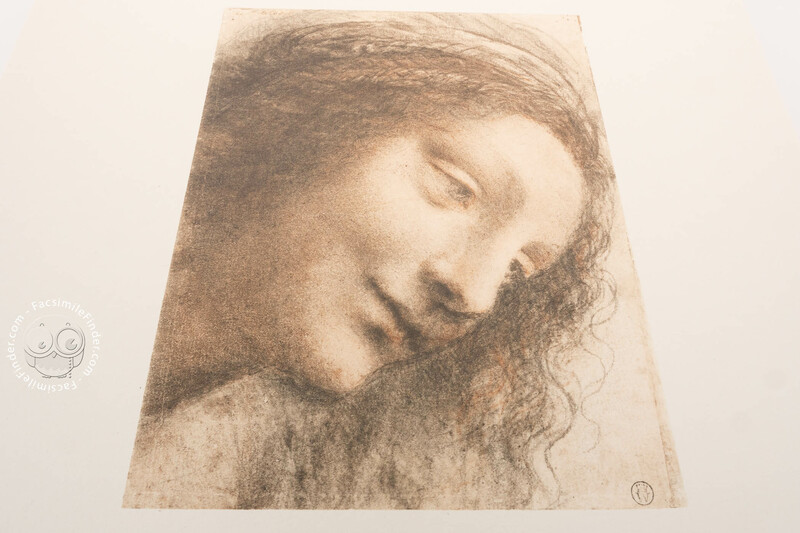 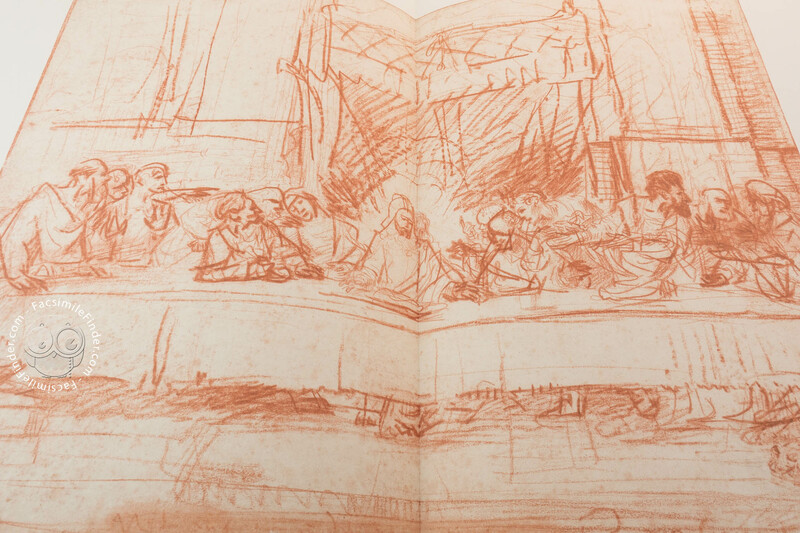 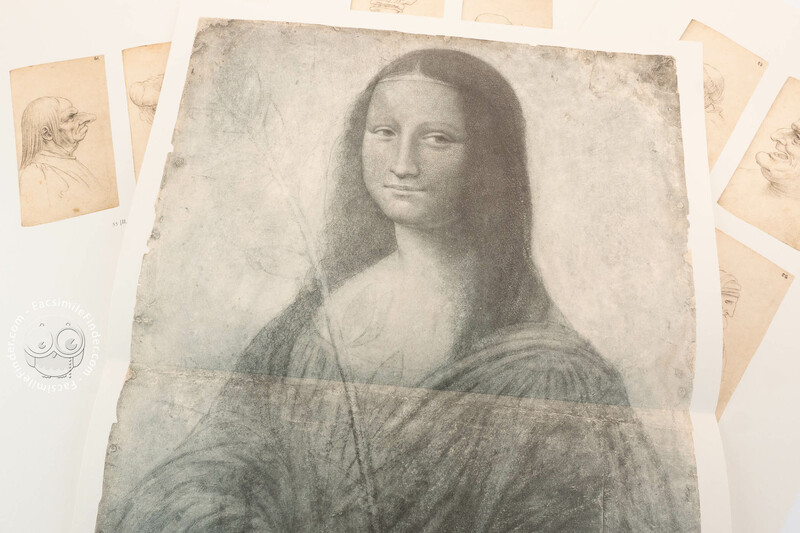 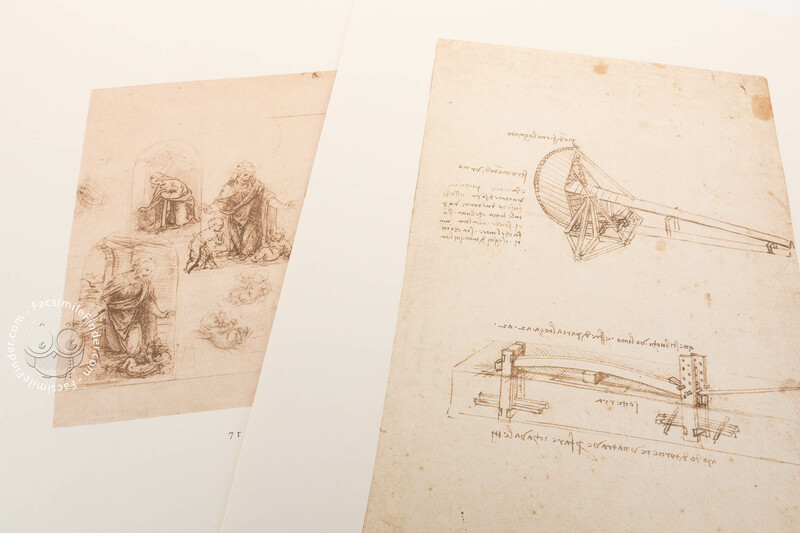 Drawings by Leonardo’s pupils and followers are gathered, for a total of about 200 drawings. 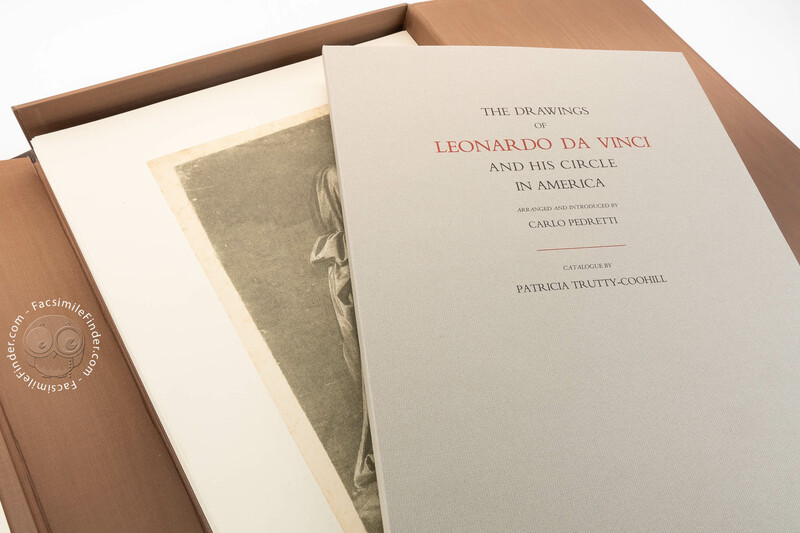 Leather-covered box (size 335 x 488 mm) with gold tooling, containing 80 plates with facsimile reproductions of the drawings, recto and verso, a 118-page volume of text printed on handmade paper and bound in Fabriano paper. 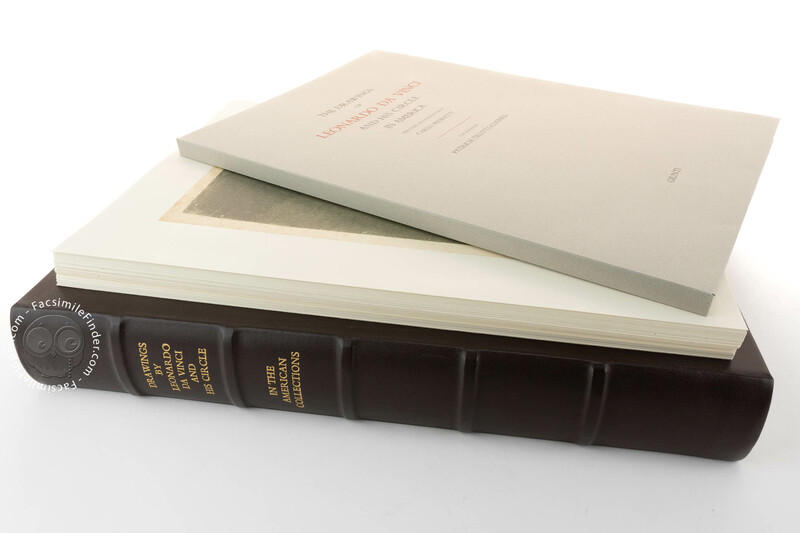 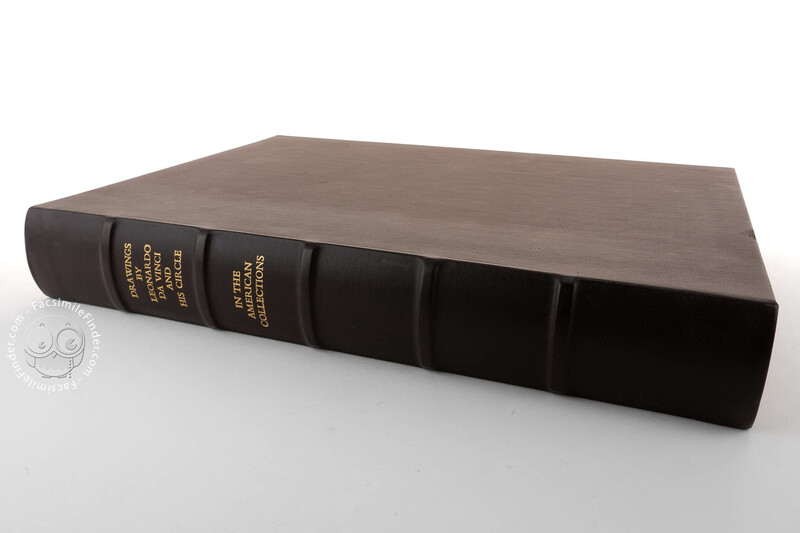 The volume of text and includes extensive concordance tables, the history of the collections, indexes and a full bibliography - a work of impeccable scholarship presented in a splendid typographic layout.